-More international Airtran flights switch to Southwest-which makes them eligible for redemption and companion pass usage. And the international expansion is only just beginning. -You can now book flights through October. You can always redeem points now and rebook if the price drops or cancel if your plans change, all without paying any fees. -Yisrael LUVs Southwest and catches their attention. 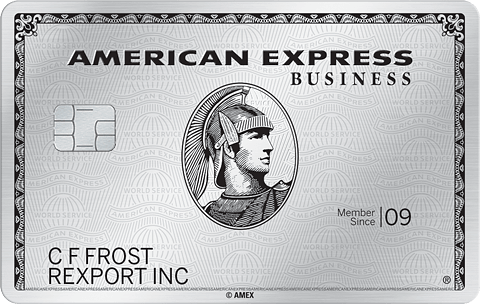 You can get 50,000 points when you spend $2,000 within 3 months of getting the card. They’re marketing this as 2 roundtrip flights but in fact it is enough for up to $970 of flights on Southwest. For example a one-way Los Angeles-Las Vegas flight on 05/07/14 is $62 with tax. It can also be bought for 3,060 points plus $2.50 tax. So each point is worth 1.94 cents (59.50/3,060), valid for redemption on all flights. so you can stretch out those 50K points points for as many as 16 flights with Southwest’s low prices or 32 flights if you earn a companion pass. Note that effective for booking made on or after 03/31 the value of Southwest points will be going down. For the flight in the example above you will need 3,570 points. For that route the value per point will be 1.67 cents (59.50/3,570). However you can still transfer points into the old program which isn’t being devalued-see below for more. While other mileage currencies now charge $200 to cancel an award ticket, Southwest continues to allow you to cancel an award flight and redeposit the points in your account for future use without any penalties! Coupled with 2 free bags per person and that’s a lot of added value. A family of 4 needing to cancel award tickets on another airline would set you back $800 versus it being a free change on Southwest. A family of 4 checking 2 bags each would run $480 round-trip on another airline versus paying nothing on Southwest. Thinking of taking a trip but not 100% sure about it? With Southwest points you can lock in a good rate and just cancel the trip free of charge at any point before the flight if you can’t make it! You can use the points for yourself or book award tickets for anyone else you want to give a ticket to. You can also use your points for Airtran flights as well! Plus because you will be booking the Airtran flights via Southwest.com you will get 2 free bags and free changes and flight cancellations as well! You can also use 50,000 points to get $500 worth of gift cards to places like Alamo, Amazon, Avis, Bed Bath & Beyond, Best Buy, Bloomingdales, Brooks Brothers, Budget, Carnival Cruises, Children’s Place, Express, Fairmont, Gap, Hertz, Hyatt, Kohl’s, Lowe’s, Macy’s, Marriott, Motherhood Maternity, National, Nike, Office Depot, Saks, Sea World, Sears, Shutterfly, Staples, Starbucks, Toys R Us, TJMaxx, Walmart, Zappos and many others. With Southwest’s Rapid Rewards “2.0” program you can redeem points for any seat on any flight. There are no blackout dates or capacity controls. The value per point will depend on your route, but points always seem to be worth more than 1.8 cents each for discounted fares. When Southwest has a fare sale the amount of points go on sale as well as it tracks to the price of the ticket. Best of all Southwest will refund your points if the price of your award ticket falls! Just rebook your trip online for the same dates or give them a call for the credit. You get 1 point per dollar on regular purchases and 2 points per dollar on Southwest purchases, including hotel and car rentals via Southwest. Plus you get a free companion pass if you earn 110,000 points in a year from most sources, including earnings from credit card signups and credit card spending! If you earn 110,000 Southwest points in 2014 the pass will be good until 12/31/15. The pass allows you to bring a companion with you for free whenever you fly Southwest, even if you are flying on a free ticket! There is no limit to the number of free companion flights that you can take. Points transferred from Ultimate Rewards to Southwest don’t qualify towards companion pass status, but points transferred from Ultimate Rewards into Hyatt and then into Southwest do qualify. So you can transfer 50K Ultimate Rewards points into 50K Hyatt and 50K Hyatt transfers into 30K Southwest. In other words if you get 50K points from signing up for this credit card you can transfer 100K Ultimate Rewards points to Hyatt and then into 60K Southwest points, worth about $1,170 towards Southwest travel. Plus then you’ll have a companion pass so that you can bring your companion for free whenever you fly Southwest, so that $1,170 toward Southwest is really doubled to $2,340 because of the free companion ticket. Not a bad value for a 100K Ultimate Rewards transfer. 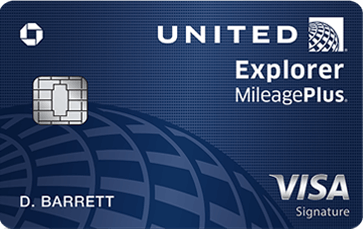 See this post for more info on the Ultimate Rewards program and associated credit cards. You can transfer increments of 1,200 Southwest points into 1 Airtran credit. Here is Airtran’s award chart, which does not price awards according to the cost of the flight. Thus you can get an international round-trip award ticket for just 19,200 Southwest points. These awards are capacity controlled however. A business class upgrade on Airtran is just 4,800 Southwest points. Once they are in Airtran you can also transfer them back into Southwest’s old Rapid Rewards 1.0 program. In this program awards are just 16 credits (19,200 points) round-trip, no matter how expensive the flight is. These are also capacity controlled, but for some flights you will come out far ahead with this old program. -Gives 2 free checked bags per passenger. -Does not charge change fees to switch your flight. Whether you are on a paid or an award flight you can change without penalty! -Does not charge a cancellation fee to cancel your flight (you will get Southwest credit for the full amount paid, even on non-refundable wanna get away fares) or to cancel and redeposit your award flight. -Refunds the fare or point difference if the price of your flight goes down after you buy it, just call to get the credit at any time before your flight! Other Chase consumer cards you can get at the time as the Southwest card include the Chase Sapphire Preferred (40K signup points plus another 5K points for adding a free additional user, no fee the first year, plus 2.14 points per dollar on travel and dining with no Foreign Exchange fees), Chase British Airways , Chase Freedom (which gives 5 points per dollar in rotating categories and 10% bonus points if you have a Chase checking account), and the Chase United Explorer (which gives free luggage, free primary car rental insurance in most countries worldwide besides Israel, expanded saver and standard award ticket availability, priority boarding, and more). The Chase Ink Plus and Chase Ink Bold business cards both give 50,000 signup points and offer 5 points per dollar on telecom, cable, and office supply stores, 2 points per dollar for gas and lodging, no foreign exchange fees, free lounge visits, and a waived annual fee for the first year. 87 Comments On "Southwest Airlines Rapid Rewards Card: Get 50,000 Points"
Any way around the annual fee? I currently have a companion pass so if my companion gets this card can she book a ticket for me with her points and then she will still fly for free with the pass? In other words can I use someone elseâ€™s account/points to book a ticket, then go to my account and add a free companion? You also get back the $2.50 charge for the award ticket. Money and miles are refunded as long as you cancel at least 10 minutes prior to the flight. Any other sw cards to 2bm for a companion pass? where do they fly from the NY area? When you say “Signup offer and anniversary bonus” does that mean that if i already have the cards i can get another 50k points of i spend 2k in 3 months ? The bonus is 3000 points. But if you call to complain that you want to cancel the card, they’ll offer you 6000 points. I had signed up for this offer last month when you mentioned it Dan. One personal and one business SW Visa Sign. card, so will I be able to transfer the 50K signup bonus from 1 card to the other to have a total of 100K on one card? Unless you didn’t enter the same ff# when signing up, the 100k will post to the same mileage “account”, there is technically nothing on the “card”. If two accounts were created, you’ll have to have southwest merge them. I’m not sure if both 50k bonuses will count towards the 110k needed if merged. annual fee can be waived first year any success? Dan, do you know if the SW “premier” version is considered a preferred-type card? I got the “plus” card 6 months ago, and I want to get the “premier” (from what I’ve heard, people have success getting both, even at the same time), but in the past Chase denied me the Sapphire preferred. I have a strong credit record, so I didn’t understand the denial. Finally one helpful recon rep explained that it has a minimum 5k credit line, and my income is too low to be approved that high. Do you know if the “premier” also has that 5k min.? Any idea how long this bonus deal will last? Just made a few applications, not sure if I should do more right now – from a pull perspective, but also from a meeting-the-spend-thresholds-without-a-lot-of-bother perspective. I just received this card 2 weeks ago; however, the bonus was only 25K (not 50K). Can I SM them to ask them to match the current bonus of 50K? Got card 8 weeks ago, paid first bill and AF, no credit for points yet, wait or call? who do I call? Chase or airline? Can I use the companion pass if I either a)transfer some points to airtran to book a cheaper flight, or b) transfer to airtran and then to 1.0 to book a cheaper flight? I got 2 southwest cars in 2013 I have about 108,000 points. but I didn’t complete getting my 110k points in 2013 , is it to late? did I need to have reached 110k in one calendar year to get the companion pass? @chuk. Got a 2k limit on the personal one. The business card is 5k min I believe. @dan, got this card In November with the 50k. Is this churnable? How long between sign ups if there is. @Anonymous: Was that on the “premier” or the “plus”? It looks like they have changes their terms a bit. It seems that only the premier card allows you to credit points towards the A-List status and there is a max of 15K a year that can be used for that purpose. Is that right? Both cards work for companion pass. Helping my friend get the premier and plus cards now. Just confirming, nothing has changed with achieving companion pass status right? Get both cards, spend $2000 on each, spend an additional $6000 on either and your good right? Is this the official new bonus it doesent say limited time or anything like that on their website? Do you need to have separate credit cards to transfer into ultimate rewards and Hyatt points? If so, which cards are these? can annual fee be waived first year or not? Just recently signed up to the 100k citi advantage. tx dan. many commenters on that post said that citi (or im assuming all banks) may start coding cvs purchases (vanilla reload/paypal cash cards/etc) as cash advance. has anyone actually had this problem or is it just rumors? Also is there any reason not to use the paypal cash cards, I see everyone pounding the vanilla reload and leaving the paypal…..
can u apply for the 2500 points if you already have an account with them? I have 2 cards but I dont think I am up to the 110k points (must be very near it), can I use these 2500 bonus points towards the total?? when do the 2000 points post? I applied in November for a Chase Ink Visa, Southwest personal(non premier) and southwest business. I could not get the SW business approved so cannot get the companion pass. If I apply now for a southwest personal premierand use the same frequent flyer account as the card opened in November can I get another $50K in bonus miiles ? What are the odds that they would issue me both a regular and premier card? Thinking about cancelling my Venture card and doing this.. Any ideas on if I should worry about hits to my credit report? Can u get the companion ticket from spending & sign up from both personal sw cards or only the premier ? Yes i do that all the time. I take the points from another party book a ticket and make sure you put in the Rapid reward number for yourself when you are booking using your companions points. and than log into your account add her as a companion. Just sometimes southwests site can be a little flukey when it comes to this and not always show up in your account right away and may take a couple hours. However if it does not show up you could call them and tell them you have a ticket that was booked with someone els’s points and you would like to add the companion. It has worked for me close to a dozen times so far. Can you explain or is there a link to an explanation as to how to use Southwest points to book on air Tran? which would have most options for NYC-JAC-NYC availability on award? not everyone service JAC. Those who service dont have low miles award options. what would be best airline to find lower miles availability for the summer? @Zev: All over the U.S.A.
do you think they’ll approve the second app? is there a reconsideration #? is there anything I could do with southwest points besides using them to fly? I opened a Southwest business card at the end of Oct,2013.I called them to find out when my spending of $2,000 dollar can begin in order that my points would be credited to my ‘2014’total. . I was told that I could start spending in ‘2013’ as long as my payment wouldn’t be due until Jan, 2014. That is when my points would be credited, after payment.That is not what happened. My Jan,2014 statement showed that the 50,000 bonus points were credited 3 or 4 days prior to Jan.1,2014. I called them to explain their mistake and they told me that I was wrong because the bonus is credited when the cc is charged even though it wasn’t paid. I told them, that wasn’t the information that was given to me by your agent. I also said that I would never have used the card prior to Jan.1. It would have been foolish on my part to do so, especially, if I was trying to attain 110,000 points in a year to get a companian pass for my wife. I have tried to reason with them without any success. What do you suggest I do? Has anyone else had a similar problem? Thanks for reading about my problem and would appreciate any suggestions. If my wife and I get separate Southwest cards, can I transfer the 52,000 points from he card to mine, which combined with the 52,000 already on my card will leave with just 6,000 needed for a companion pass? their decision and the case is closed. I’m at wits end. Thank you. I would like to know the answer to this question as well if possible. how to apply for a business cc without having a business? I need to book 6 tix. If I have the companion pass thingy. Can I book pay for three tickets and get the other three free? Anyone know if you will receive the points if you got them within the year? What is the cut off point? A C.P. is only good for one designated person. Can I use the companion pass to fly international? Who told you that it goes by the payment date? That’s never true for Chase cards. have you heard anybody having success waiving first year annual fee? 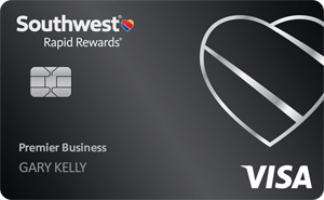 I signed up for the southwest card in oct 2013..how do i know if i am in the rapid rewards 1.0 or 2.0? MY credit card number is 5433 4544 3230 0001, if that will help..but seriously, I like the idea of getting 110k onto my card..does it only work with some RR programs? If I had this card in the past, can i get the bonus again? some cool places to fly to from ny with this card? mistake. All they say is ” I’m sorry”. Southwest doesnt fly many places directly from NY. Has anyone been on a southwest flight to Florida direct? Lesson learned: Get everything in writing via secure message. You can ask for compensation from Chase but that’s about it. They may be able to pull up a recording of the call. They fly nonstop from ISP to 5 airports in Florida. Sure the drive is a little longer, but you’ll make up that time and then some thanks to shorter security lines, less delays, and cheaper/easier parking. For NJ folk look into their numerous nonstop flights from PHL. Or connect from EWR/LGA. Their LGA footprint is also scheduled to grow significantly. Is there a way to transfer southwest points to go to israel? Aaaand… dead, as far as I can tell. Still alive, try another browser or try incognito. Next time just wait until you’re closer to your target year. Move on. You shouldn’t be encouraged with nonsense like phone call recordings, etc. Just move on. Plan ahead next time. It’s not like the 50,000 mile offers were never going to come back. Offer Unavailable unfortunately it is dead!! I reached out and the issue is now fixed. Link should be working for a little longer! I’m really happy I checked this again after striking out erev shabbos. A really nice motzash treat! I currently have a southwest chase card that I didn’t want to cancel until the 6,000 mile anniversary bonus credits to my account. If I get another card now, will I still get the 50,000 sign-up bonus? Direct flights. Can I trade points for other points?? Can I apply and get the bonus if I currently have the same card? Or should I close my current card or change it to something like Freedom before I apply? Is there any way to use these points for Israel? Thnx Dan. Is there a working Linky for the Biz card? Dan, do you know when this deal is going to come again? I missed it!